So I have a reputation as somewhat of a COPPA compliance warrior – so much so that my co-workers have been known to groan when I mention registration or database needs. It’s an odd thing to have attributed to you, especially with no legal experience SLASH a general frustration with legal risk aversion in general. But when you have been working on kids websites and communities for coming up on 15 years, you kinda get a hang for the ins and outs of the laws that surround it (or at least you SHOULD). That’s the thing. COPPA is required. It’s not a choice. You have to comply. If you don’t, you get in trouble – like super expensive trouble – in dollars and negative PR. So you just do it. I always find it odd when people brag about it or add it as a tagline to their branding. It’s akin to saying – “My name’s Harry and just so you know, I definitely DON’T punch random strangers in the face.” Duh, Harry, but thanks for letting me know. But COPPA compliance has become alot like speeding on the highway. Many people obey the speed limit, but many more edge a bit over the line. When they see a cop, they pull back and pretend that 55 is totes what they were driving the whole time. But then they inch back up to 65 or 70 the second they are in the clear. I’ve heard some people actually see a speeding ticket every now and then as a valid cost of driving – a tax they are willing to budget for. Much the same, companies have started inching over the compliance line on COPPA. I actually have been in meetings with kids brand execs (NOT my current ones 😉 ) that considered having a slush fund set aside in case their was a sanction levied against them. But even Pollyanna-well-intentioned brands sometimes find themselves inching toward or even over the COPPA line. You know why? Because it’s SUPER hard to comply to in the internet/digital culture that we are in right now. COPPA was put in place to protect kiddos from nefarious marketers who wanted to sell personal info. It was not for predators or decency or to teach personal accountability in identity protection. But, with our culture of fear, those are the things that people think it’s in place for. Is it good that a byproduct of this rather draconian law imposed on site operators so they don’t profit from the sale of kids info, ALSO helps prevent kids from distributing personal details about themselves in public forums? Maybe – but I’m not sure that that remote and avoidable byproduct outweighs the other hurdles the law imposes. Chances are, if that followup actually happened, the answer would be dodged with an excuse about lack of time or understanding, lament of the speed of tech advancements or a bold faced lie. Truth is that, anecdotally (albeit with my use-cases in the thousands), parents don’t know about COPPA and their assumed required involvement. So we can demand verified parental consent til the cows come home, but if the parents don’t understand that is something that is needed, all the FTC is protecting is a child’s ingenuity to lie about their age, while simultaneously making it harder for an an ethical site operators to pay their staff while providing good content for kids. Unless these impositions on the site operators are coupled with a robust (and effective) campaign to explain to parents WHY and HOW they need to be involved, COPPA is simply discouraging smaller brands away from quality content from kids, encouraging children and parents to learn truth-dodging techniques in registrations and forcing the nefarious operators deeper into the shadows to avoid detection. Only bigger brands can afford the legal counsel needed to check that they are in the right. The ones who can’t afford will simply not offer the content, or worse, slap a “over 13” stamp on it and skirt their responsibility. The internet is based on communication channels – especially in the age of social media that is now the norm. By starting from the false axiom of parental involvement and prohibiting use of the now standard means of communication until this involvement is verified, you are setting up either a web of lies OR limiting our next generations ability to learn how to use these channels correctly. Both are horrible choices. For the operators – we make the compliance voluntary and, therefore, honestly brag worthy. Make it like shopping on a secure site – you get the security so that your customers feel safe. If you don’t have that seal or badge or OK from the FTC, parents/kids would think twice before using their site. For parents – we give them back their parenting responsibilities. If they think their child shouldn’t be giving out info online, the parents should be punishing the children for breaking their house rules, not blaming the sites for making it too easy for their child to give out info. And we should be helping parents understand this and how to do this – not assuming they are already there. For kids – we teach them media awareness, basic stranger/danger skills and critical thinking. If they aren’t ready for it – their parents shouldn’t be letting them use those sites – whether they are 8, 12, 15 or 17 years old. I am not naive, I know this isn’t going to happen this year or even next. But I am optimistic as to this happening at some point. Until then, I will remain the compliance warrior, marching and marching on. But I have 10 million+ kids and parents on my compliant site – so you better believe I’m gonna start the first steps toward a more rational model now. Do you spend your money on the high traffic site that cost more but you know you will get more click-thrus, and therefore, more traffic to your site? Or do you spend that money on a lower traffic site that will allow you to have a deeper engagement with the members of that community? The ideal answer is YES or BOTH! If you have the money, you should totally go for it, as you will get the benefit of traffic AND engagement of your brand. 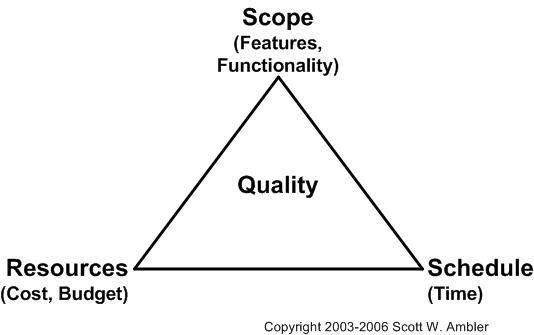 You rarely are able to have all three points of the triangle in any project. So what do you do? If you are lacking in resources (money, usually) make up for it in features. But before you get all tactical, make sure you are clear on your project objectives. Figure out what is your ultimate goal? Is it to get tons of traffic? If your goals are about building awareness and this is but one of your plans in a long term campaign, put an ad on one of the “big guns” for tween traffic – TV networks, gaming sites, etc. Traffic is great and the more people see your ad on other sites then the more people you can get to your destination, the more brand awareness you spread. Is it to get some great quotes for sales packages, etc? Then go to a smaller community that will be able to build a deeper, more immersive experience for the users. Many times you can organize a community or world event and get the players talking either directly to you or about your brand. Is it to maximize your spend? A targeted ad network might be a better idea for you. You might not get an ad on the heavy hitters and you won’t get the engagement you would from a smaller site, but you can spread your brand around to more sites. There are some great options out there to help you target collections of site within the demographic you are looking at. Have you thought about offline engagement? It’s funny, but ever since the web came around, it becomes the only thing people can think about. But TV still dominates most peoples lives. And don’t discount the level of engagement that a well planned event sponsorship/promotion can have. Other factors to consider in your choice include whether this is a one time campaign or part of a larger strategy, what sorts of users you are looking for, whether you are looking for awareness, conversions or something else. At the end of the day, it’s a question of priorities and choice. It’s best to weigh all of your options and objectives before jumping into implementing tactics. Gotta love this. An homage to viral video makers, by having them in the video (see if you can spot them all), and launching it virally before the album. Yay Weezer. Added 2 days ago and already at 1.6 million views. I heart the internet.